What you need to know about being charged with fraud. 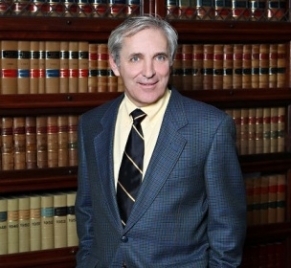 If you have been charged with a commercial or white-collar crime such as fraud, or are being investigated by police in relation to an incident of fraud, you need to speak to Frank Genesee, a skilled criminal defence lawyer in the Hamilton area who has expertise in dealing with fraud charges. Trying to explain your actions, including an honest mistake, may end up making things worse for you. It is best to let your lawyer do the talking for you. Dealing with charges of fraud and commercial crime can be overwhelming due to the involvement of complex financial issues on top of complex legal issues. The potential consequences of a conviction are too severe to risk dealing with this situation on your own. Call Frank Genesee at (289) 426-1644 today! Get Frank Genesee on your side early. When a large amount of money goes missing, people are quick to find someone to blame. Don’t take the fall for something you didn’t do. Contact Frank Genesee as soon as possible. Do not try to outsmart the investigators. Call Frank Genesee as soon as you think that you might be the subject of an investigation. The earlier you call, the more that Frank Genesee can do to protect you. If you have already been charged with a commercial crime, you are facing potentially serious consequences. Call Frank Genesee today. Basically, fraud can include any criminal deception for financial or personal gain. Many commercial crimes are crimes of opportunity committed by people in positions of trust. These crimes involve a “breach of trust” and are taken especially seriously by the courts. Types of fraud and commercial crime. Corporate crime: a crime committed by a corporation or by a person or people acting on behalf of the corporation (generally the directors or officers of the corporation). Bribery: giving or offering money or favours to a person in a position of trust in order to influence that person’s conduct. Insider trading: using confidential information to trade stocks for personal gain. Embezzlement: taking money or property that you hold in trust for others and using it for your own personal gain. Money laundering: making proceeds of crime appear to have come from legal sources. Identity theft: the fraudulent use of someone else’s identifying information for personal gain. Forgery: the fraudulent reproduction of a financial document, signature or work of art for financial gain. Breach of trust: an abuse of power for personal gain by a person in a position of trust (a trustee). The laws dealing with these crimes are complex. Don’t try to deal with this alone. Call Frank Genesee right now. Instructing you regarding how to conduct yourself if you are questioned by police or internal company investigators. Speaking for you (even if you think you made an honest mistake, it is better to let your lawyer explain that for you to avoid misunderstandings that might land you in even more trouble). Analyzing the evidence and following the paper trail. Fraud often involves complex financial issues. Your lawyer will retain a forensic accountant or any other professional that might be necessary to assist with your defence. Preparing for and conducting your trial, if necessary. You have too much to lose to risk dealing with these charges on your own. Frank Genesee will ensure that you get the best possible result.